We are a week away from the dismantling of this country as we know it. There is no time to lose. If you agree with the solution it offers, please sign this petition at once. This is a still from the film of my short story, “The Stooge”. It was directed by Rogelio Fojo in Los Angeles, and runs for a fraction over 20 minutes. It’s another film about stage magic, but this time not set in the period of grand theatrical magic, but a much more modern, realistic, down-at-heel time. Other than writing the original story, then drafting a screenplay, I had nothing to do with the production process. The first I knew about it was when I was sent a finished copy. To say I was surprised by the result is an understatement. It strikes me as an extraordinary accomplishment. In many ways it looks as good as The Prestige, but was made on a budget literally .05% of that film, for all its famous stars and legendary director. Fojo has achieved as much, working with less. The Stooge is offbeat, intriguing, thoroughly cinematic, sometimes funny, it has beautiful photography and music … and real magic. The opening credits show the workings of a sleight — a few moments later you see the sleight again, and you still can’t see how it’s done. Pure magic. “The Stooge”, the original story, is included in my new collection, Episodes, due from Gollancz on 11th July 2019. Early details here. 22nd March – I shall be appearing at the Glasgow book festival Aye Write! This will be at the Mitchell Library, starting at 6:00pm. Details here. 19th to 21st April – I will be at Ytterbium, the British Eastercon at the Park Inn, Heathrow, London. My daughter Elizabeth will be with me: her second novel is being launched at the convention. Contact Ytterbium. 23rd to 26th May – Assuming I still have a valid passport, post Brexit, I will be at Imaginales (le festival des mondes imaginaires). This is the annual festival in Épinal, Vosges, and greatly to be enjoyed in the early summer weather. Do get there if you can. Imaginales. 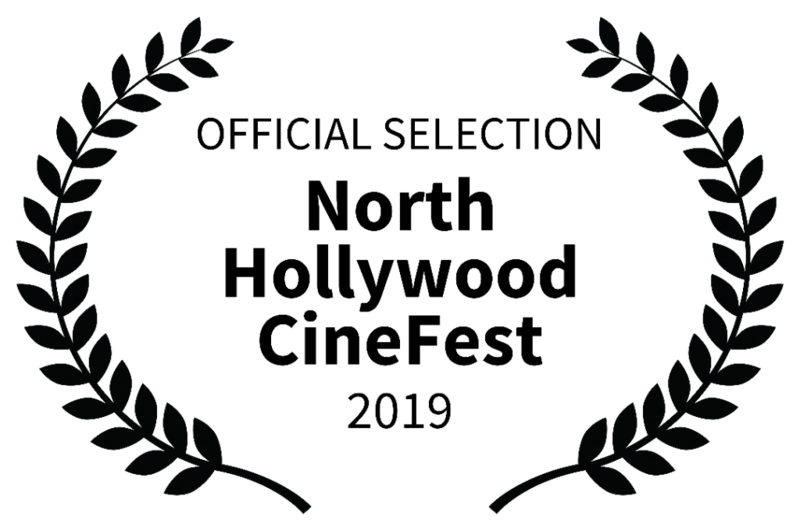 7th June – I shall be at Cymera 7, in Edinburgh, described as Scotland’s inaugural SFF festival. All details here. 12th July — Nina and I will be at Birmingham SF Group, Briar Rose Hotel, Bennett’s Hill, Birmingham. 7:30pm for an 8:00pm start. 30th to 31st August – I shall be in my old home town for the Hastings Litfest. Details here. Concrete Faery is Lizzy’s first novel, a YA fantasy, written engagingly and with a constant sense of dry and sceptical wit. 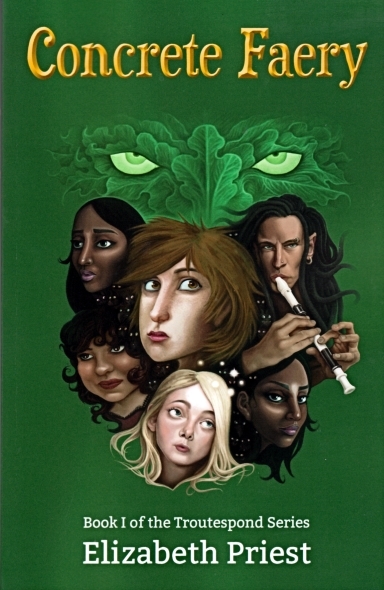 It has an amusing idea at its heart: that if faeries did in reality exist, nosey teenagers would (a) notice them before anyone else, and (b) turn out to be the worst people to have to deal with them. It is set in a bucolic nomansland, the English village of Troutespond, instantly recognizable, worryingly weird. 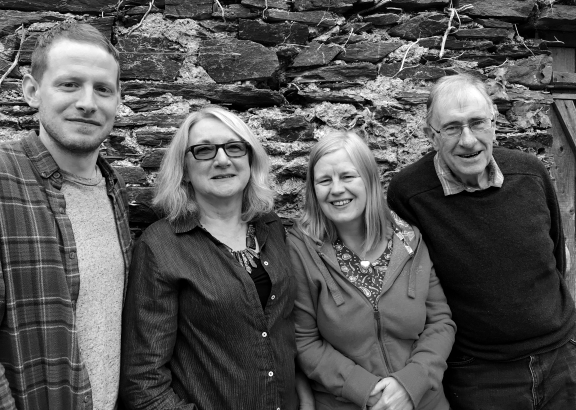 This is the first novel in a series – Book Two, The Changeling’s Choice, will follow in April next year and be launched at Eastercon, and the third novel, Midsummer Dance, will follow later in 2019. A total of twelve Troutespond books will make up the series – Lizzy has already completed drafts of several of them, and is working on the rest. I had nothing at all to do with the writing of these books (dratted children do things behind parents’ backs), and apart from an early introduction I had nothing to do with getting the books published. It is all Elizabeth’s own work, and I hope she does well with them. Luna Press, who have an interesting left-of-field list of fantasy and related books, are to be congratulated for taking her on, and for producing such an unusual and good-looking edition. Copies are available in both print form and Kindle from Amazon.co.uk – and here is Elizabeth’s own website, and Luna Press’s. I’ve said it once — now my lips are sealed. An American Story will be published in the UK and France this week, on 6th September. I shall be discussing the book in Waterstones in Argyle Street, Glasgow this evening, and on Wednesday evening (5th September) I shall be at Waterstones in Gower Street, London. After that I shall be in France for a few weeks, for some similar events in Paris and other places. I am concerned, though, that the book is not available in the USA. American readers will only be able to buy the Gollancz edition as an e-book, which will be available worldwide immediately. Next year, Gollancz will distribute their print edition in the USA. Lawrence Wright, author of The Looming Tower (the TV adaptation is on Amazon Prime), said that any writer who takes on the subject of 9/11 is venturing into hallowed ground. (‘Hallowed ground’ is a phrase sometimes applied to the Ground Zero site in New York City.) I’m beginning to see what he meant, as the rejection of my novel by American publishers, large and small, is complete. Given the known risks of seeming to be an unlucky writer venting his outrage at purblind publishers, here’s the story. I am not new to the problems of finding American publishers. At least two of my books, The Quiet Woman and The Dream Archipelago, have never been published in the USA, and The Separation received a similar thumbs-down from trade publishers until it was picked up by Michael Walsh’s niche imprint, Old Earth Books. (The Separation still has not found a mass-market edition in the USA.) Even The Prestige, which has been in print for more than two decades, had a struggle to find an American offer back in the day. Now it is happening again, this time to An American Story. As a writer you have to take the rough with the smooth. No one owes you a living. You learn to shrug these things off, although shrugging off non-publication in the world’s largest English-language market is not easy if you make your living from writing books. By no means am I the only writer this has happened to – many others in this country and elsewhere have suffered worse than me. Looking through the editors’ notes of rejection, and setting aside the opening lip-service compliments about my wonderfulness as a writer, presumably an attempt to soften me up, a consistent theme of negativity emerges. They worry about the subject-matter, the difficulty they perceive of selling a book that deals with 9/11, also their wish not to stir up the feelings that such a book inevitably, as they see it, would arouse amongst readers. The word ‘conspiracy’ appears several times. One of the matters I noticed, while I was doing the necessary research for the novel, was that there are almost no investigative books about 9/11, fact or fiction, from trade or commercial publishers. There have been several novels in which the attacks are mentioned and discussed openly, describing the trauma, the shock, the feelings of anger, etc., and there have been memoirs and books about people’s horrifying experiences and the losses they endured – but there is almost nothing about the immense and intriguing controversy that surrounds the US authorities’ version of what happened. Most of the books I could find on that subject were either from independent or underground publishers, or were self-published. Many of these books are poorly written. In a similar way, the internet is awash with video material, much of it dealing with shocking, controversial or passionately argued exposés of the events and the official explanations of them, but almost without exception these videos run and re-run familiar images, often in poor video quality, and are amateurishly put together. Overall they lack objectivity or journalistic skill. The internet is one thing, but the almost complete absence of responsible literature from established publishers is a disgrace. The appearance of An American Story from mainstream publishers in the UK and France is therefore a small breakthrough. My novel (and it is above all just a novel) is in effect about a condition psychologists describe as cognitive dissonance. This identifies a state of mind in which two versions of reality or understanding are held at once, even though they are in conflict with each other. A simple example of cognitive dissonance is the mindset of a tobacco user, who in full awareness of the dangers of smoking clings to certain false beliefs: that there are many other risks in daily life and smoking is no worse than any of those, that smoking is calming and helps concentration, that the medical evidence is wrong or exaggerated, and so on. Heavy drinkers of alcohol make the same sort of denials. Individuals are of course free to make such arguments, because (apart from drunk drivers, etc) most of the damage they do is largely restricted to themselves. On the macro scale, though, cognitive dissonance is dangerous. Several current examples spring to mind. The UK government must surely realize the extreme dangers and chaos that their obsession with Brexit is leading this country into. Apart from the unreliable result of an ill-argued referendum there is not a single good reason to pursue this suicidal policy – all the objective evidence bespeaks economic and social ruination. Yet they push on with it, knowing the issues but doggedly ignoring common sense, the lessons of history, the essential qualities of the British nation. It’s even worse in the USA. With Donald Trump presently occupying the White House, the USA is living under not only the worst and most dangerous president in history, but the one likely to be the worst ever. The evidence of Trump’s incompetence, his low intelligence, his increasing dementia and above all his immoral outlook is everywhere – there are so many proven examples that in the end you start forgetting some of them. Yet he stays in place, apparently secure in his important office because a majority of people in the US are suffering cognitive dissonance. They know full well what a terrible man this is, completely ill-suited to be president, and that he should be removed. But they do nothing. They make excuses, they deny what they know is true. Then there is 9/11, of which I have written. My novel is about the cognitive dissonance that sustains a myth. Everyone in America knows what happened that day, everyone knows the story that eventually emerged from the US authorities to account for it. Most people have also heard that the story (the ‘American story’ of my title) is full of illogical reasoning, omissions, bad science, inconsistency, implausible explanations, but they go on preferring the official story because it’s simpler and it maintains the status quo ante. Those unwelcome doubts are raised by people the American media call conspiracy theorists; others are described as ‘truthers’. While loony conspiracy theories spring up these days about almost any publicized violent event, the ‘truth movement’ in the USA is of a different stripe. They are usually lumped in with the cranks, written off by the contempt implicit in the label as oddballs, troublemakers, fringe activists. But in reality the truth movement consists of professional engineers, architects, chemists, airline pilots, physicists, air traffic controllers, scholars, defence analysts. All of these groups (and in membership they number several thousand) have mounted sober and rational dissent from the official story. In every case they back up their arguments with evidence, hard science, clear logic. Necessarily they have had to work outside the mainstream of publishing. The dismissive labelling of them as ‘truthers’ avoids the disagreeable necessity of having to think about what they are pointing out, and more so, takes away the need to do something about it. 9/11 was a disaster of international proportions, its deadly consequences continuing into the present day, but because the attacks happened where they did, the Americans have grabbed the rights to the story. Not all stories are true. Some are cognitively dissonant, full of denial. My book is a novel, and it stands or falls in that respect. I make no claim for it other than the fact that it is not part of a conspiracy, that I do believe in the truth, and that one should always listen to dissent. Today, 28th August 2018, marks a personal anniversary. Fifty years ago, on this day, I started my career as a fulltime freelance writer, unsupported by anything other than what I could earn with my typewriter and my brain. I had no private income, no hoard of shares, no wealthy family. I never imagined that I would be able to keep going for fifty years, but it seems I could, and did. I am usually vague on dates, regularly forgetting anniversaries and birthdays, sometimes my own, but this particular date has always stuck in my mind. On 28th August 1968 I was single, living alone in a cheap bed-sitter in an expensive part of London: it was close to Gloucester Road underground station, in South Kensington. The condition of becoming a freelance had been initiated by two straightforward words uttered by my last boss: “You’re fired.” For several months before this I had been wondering endlessly if I would ever have the guts to give up working in jobs and try to survive as a writer, but suddenly the decision was made for me. Rather than trawl around London looking for another dead-end job, I decided, with the support of the young woman I was soon to marry, to give it a go. I had almost no money – in fact, I had only my final month’s salary, paid on the Friday of the previous week, together with a few savings I had scraped together. The total was about two hundred pounds, which I reckoned could with care keep me going for about four or five more weeks. My wife-to-be was a student and was receiving an annual maintenance grant of ninety pounds. (That’s £90 a year.) She too had a small flat in London, and at the end of September, after a minimal wedding, we moved together into another rented flat, this time in suburban Sutton. The rent there was £9 a week, or £39 a month, payable monthly. On that first Monday morning, still in Kensington half a century ago, I walked down in bright sunshine to the local Post Office and with a feeling of symbolic significance bought myself a self-employed National Insurance stamp. (It was the first one I ever bought, also the last. I never did it again – years later, the authorities caught up with me and I had to find a substantial back-payment.) I then walked back to my tiny bed-sitter and started writing. I didn’t have many prospects but I did have a plan of sorts. Part of it was for the short term. In previous months I had sold a few short-short stories to a tabloid-type magazine, which paid £20 a time for twist-ending crime fiction, and I reckoned that if I could sell one or two more of those a month, that would keep the hounds at bay. I was also in touch with another young writer who was overloaded with writing hack articles for a group of ‘glamour’ magazines – constantly bored and fatigued by the mindless garbage they wanted, he sometimes let me chip in and write a few of the terrible things for him, for which I received tiny payments. Even so, I needed every penny I could lay my hands on. The other half of my plan, the long term bit, was to develop the serious side of my writing and try to sell some short stories and, if possible, a novel or two. During the final months of my employment I had sold a 10,000-word novella called “The Interrogator” to the New Writings in SF series, edited by E. J. Carnell. Thirty quid flat. Mr Carnell was cautiously encouraging, so I wrote a sort of sequel (same characters, same setting, story different) at another 10,000 words. With great speed, and immense courtesy and gentleness, Carnell rejected it, explaining that his occasional book series disallowed sequels. On the day it seemed like a bitter blow, but soon afterwards I rallied. I put the two novellas together, drafted a kind of emergency plot outline for more of the same, and my brand-new literary agent, Janet Freer, submitted it to the Gollancz publishing house. Not long afterwards they rejected it. Ms Freer, more optimistic than I was, then sent it to Faber & Faber, the only other major publisher who was publishing this kind of material at the time. I saw Faber as a class act way beyond my hoped-for level (they published Brian Aldiss, Kit Reed and Edmund Crispin, not to mention their profoundly literary authors like Golding, Beckett, Larkin, Durrell, and so on), but in it went. In the meantime I hacked away at my short term survival plan: cod horoscopes and filler articles pinched and rewritten from the tabloid newspapers. Awful, shameful stuff, but my initial two hundred quid had almost all gone. In the first week of the new year Faber announced that they would publish the novel. To say I was surprised and pleased would not even approach the delirious feeling I had. I immediately abandoned my shame-faced hackwork and drafted the novel. I followed the synopsis I had dashed out in a few mad minutes, believing I had to now that Faber had read and accepted it. The result was OK, but I think only just. It took nine weeks, and I called the finished manuscript Indoctrinaire. Faber paid me an advance of £150.00 – £135.00 after Janet Freer had taken her well deserved commission. It was in three instalments of £45 each, to be paid over the next 18 months. It seemed the long term plan was going to be no more lucrative than the short. The struggle went on. Memories of what followed the writing of Indoctrinaire are no longer so distinct. I went on writing, I kept on writing, and I have done so ever since. Life has had its extremes of problems and satisfactions – I make no complaint about the former and do not brag about the latter. But I will never forget those early weeks, which have permanently instilled in me a general sympathy and sense of comradeship with other new or young writers who have followed me. A writer’s life is never an easy one, but now, on this anniversary evening, I do look back in the full knowledge that given the chance I would do it all over again. First of all, many congratulations to our neighbour on the Isle of Bute, Anne Charnock. Last week Anne deservedly won the Arthur C. Clarke Award for her novel Dreams Before the Start of Time. Only a few weeks earlier she picked up the BSFA Award for her novella ‘The Enclave’. Here is her website, where these works and others are described. We are coming to the end of July, in what is probably our last summer as full Europeans. The dread chaos of Brexit has induced a feeling of torpor about making entries on this website: I don’t want to keep going on about it (or about the disgusting moron in the White House), but Brexit and Trump together present such major concerns that it sometimes feels one should write about nothing else. However, forcing that deeply disagreeable stuff aside, let me update the news of my books, and a few of the personal appearances that are being arranged to promote them. Monday 3rd September, I will be in conversation with Neil Williamson at Waterstones in Glasgow (Argyle Street branch). Time: 18:30 to 20:00. Admission is free, but advance booking is essential. Wednesday 5th September I will be talking with Glyn Morgan at Waterstones in Gower Street, London WC1. Time: 18:30 to 20:30. Booking must be made in advance, and sales close on 4th September. Tickets are £8 (£6 for students or Waterstones card holders). 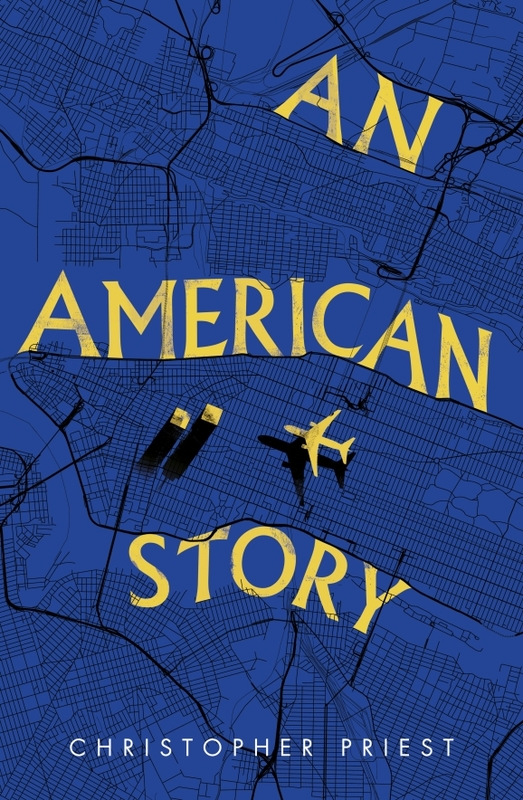 An American Story will be published in the UK on 6th September, and will also be available internationally in the English language as an ebook from Gollancz. 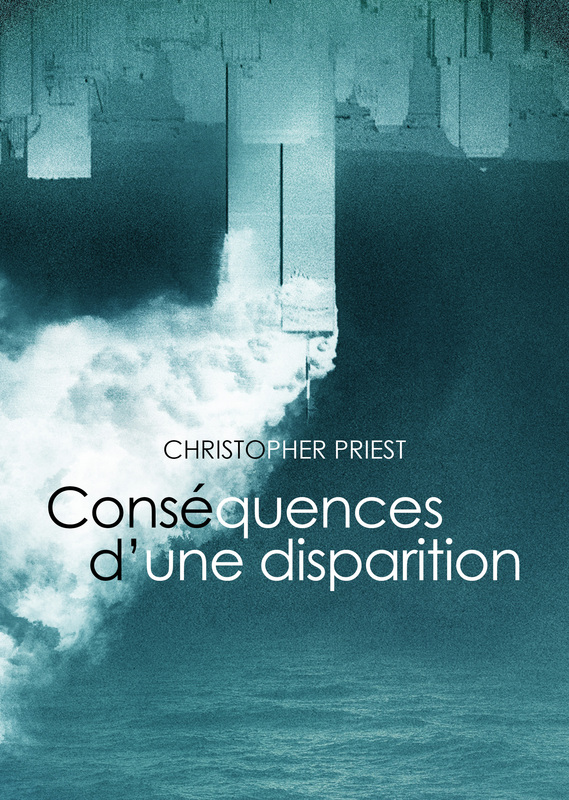 The publication date for the French translation (Conséquences d’une disparition) has not yet been confirmed to me, but is likely to appear at roughly the same time. Cover images of both editions appear on this website, below. From 6th September until 10th October I shall be living and working in France, based in Paris. Sunday 16th September, there is a meeting and book signing at Salon Fnac, in Paris. Time: 14:00 to 16:00. At present I have no information about ticketing (if any). I will update this page as details are clarified. Weekend of 29th and 30th September I will be Guest of Honour at Les Adventuriales, in Ménétrol. Friday 5th October, there is a meeting and book signing at La zone du dehors, in Bordeaux. Time: 17:00. Again, at the moment I have no information about advance ticketing (if any). I will update this page as details are clarified. There is also a planned signing at Librairie Critic, in Rennes — but date and time have yet to be agreed. Although I shall be travelling back to the UK during the second week in October, I will be returning to France for the Utopiales Festival, in Nantes, 31st October to 5th November. Before then, an event is being planned here on the Isle of Bute, a conversation with Anne Charnock. No date has yet been set, but is likely to be before I go to Nantes. I will be at Ytterbium, the Easter convention at Heathrow, London, from 19th to 22nd April 2019. My daughter Elizabeth Priest will also be there, to celebrate the publication by Luna Press of Lizzy’s first three (yes, THREE) novels in her Troutespond series. In August Nina and I will be attending Dublin 2019, the Irish world sf convention, 15th to 19th August. At the end of the same month I will be present at the Hastings Literary Festival, 30th August to 1st September. Details of all these events will be updated on this page from time to time, and given sole entries closer to the dates. I look forward to meeting you at one or more of these events. A bientôt! Gollancz have sent me the first proof copies of my new novel, so I gave one of them to my most insistent reader and fan. Djanga condescended to wake up, but said she would not be able to read the book until later this year. She wants me not to keep bothering her about it. Last week I was in Oxford to contribute to a celebration of the life and work of Brian Aldiss, as part of the Oxford Literary Festival. Other participants included Robin Straus (Brian’s American literary agent), Samuel Fanous of the Bodleian Library (repository of the Aldiss papers), Thomas Lodge (actor, Brian’s grandson via Wendy Aldiss), Petronilla Whitfield (actor, and frequent collaborator with Brian), and Michael Moorcock (in a message read by Marcus Gipps). There was also an ancient television interview with Brian, where he spoke amusingly about masturbation, and a song from Ella Fitzgerald, “Cow Cow Boogie”. A second panel discussion followed, with Philip Pullman, Claire Armitstead and Sophie Ratcliffe, more general in nature, about the relationship between literature and genre. Speaking of literature and genre, I have just read The Booker and the Best, a Kindle Single from Nicholas Clee. This raises the question of why genre writing is not taken seriously by the perceived literary establishment, and why science fiction and thrillers, in particular, never make it to the shortlists of the major literary prizes. (One could point out the paradox that Brian Aldiss, one of the finest literary stylists in the English language, was never a contender in these prizes.) Clee doesn’t reach a firm conclusion, but his discussion of the problem is interesting and involving, and full of good sense. It only costs a quid from Amazon, so do grab a copy. Here is the cover illustration for my next novel, from my French publishers Lunes d’encre (an imprint of Denoël). The title in English (An American Story) cannot be used in France, as there is a pre-existing book with that title in French. I like the variant title almost as much, as the book is essentially about consequences. Publication date will be towards the end of this year, but it is hoped that advance copies will be available while I am working in Paris, in September. 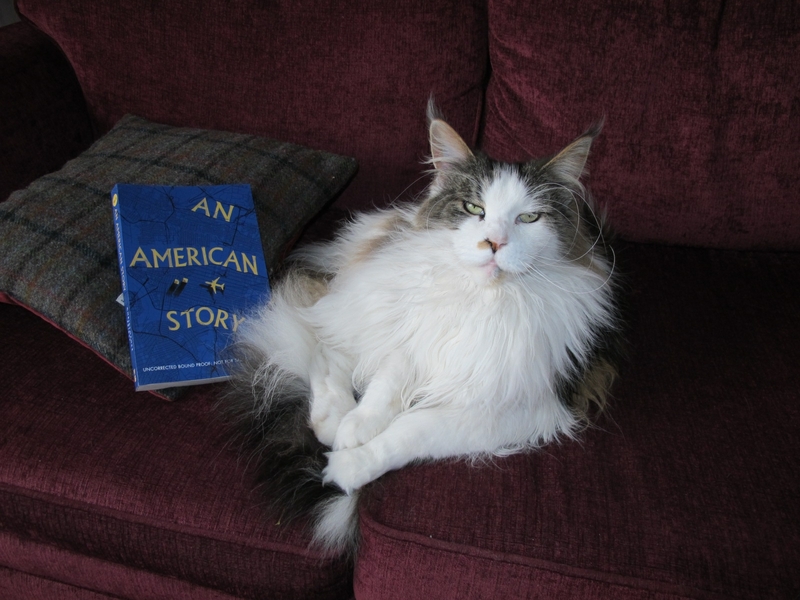 An American Story will be published in the UK by Gollancz, on 20 September. I have recently delivered another book to Gollancz: a narrated short story collection called Episodes. No publication date has yet been agreed.